Ever pulled the laundry out of the dryer and realized your sweet husband who was just trying to help you out with all the laundry accidentally put your favourite knit, what used to be oversized sweater through the dryer and now it looks like a toddler could wear it, or maybe it just fits tight now, (not what we want in the winter season.) Well a few weeks ago this happened to me and it may seem dramatic but I was devastated! So I decided to listen to some advice I got from Ellen’s #yourwelcomewednesday instagram post. So it is as simple as the post reads. 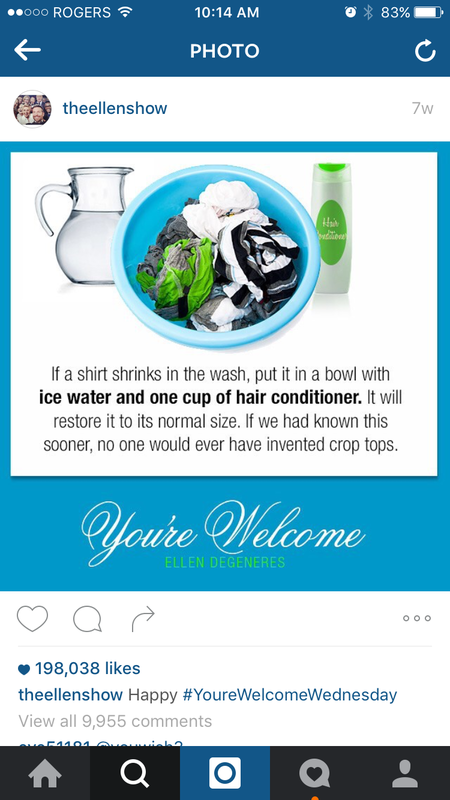 I took a bowl, you could probably just put it in the sink too, filled it with ice cold water, mixed in 1 cup of conditioner, (I recommend getting a cheaper brand that you don’t mind using for this) and set my sweater in there. The post does not say how long to let it sit but I did it for a few hours and kept checking it to see if it seemed any different, and it worked!!! My beautiful sweater was back to normal! 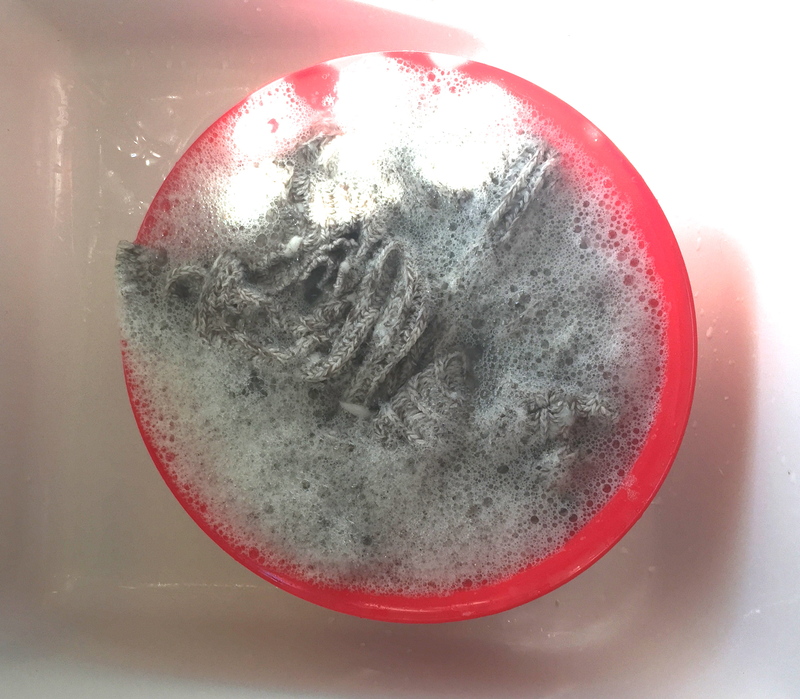 To get rid of the conditioner I put it in the wash on hand wash, light wash, small load setting, laid it out flat to dry, not hang dry because it will loose it shape, and the next day my beautiful sweater was back to normal, and oh so soft I must add!